The Emmy winning actor, who plays Cam on the hit comedy, promises hilarious new twists. 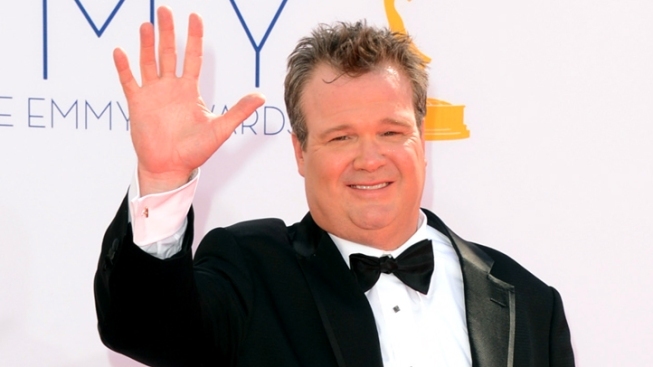 Actor Eric Stonestreet arrives at the 64th Primetime Emmy Awards on September 23, 2012 in Los Angeles, California. With only a brief moment in which to set down their newly awarded Emmys, the “Modern Family” cast is back on air Wednesday night. Eric Stonestreet, who just collected his second Emmy trophy as Best Supporting Actor in a Comedy, promises that – beyond how the extended Dunphy/Prichett/Tucker clan deals with the surprise pregnancy of Gloria (Sofia Vergara) – everybody’s got a little shakeup ahead, including his character Cam. Stonestreet says that after four seasons, there really is a familial tie among the cast and crew behind the scenes, especially since the adult actors took a united stand this summer to successfully lobby for larger paychecks.